[Update] Official PUBG PC update 14 patch notes are now up, you can find them here. 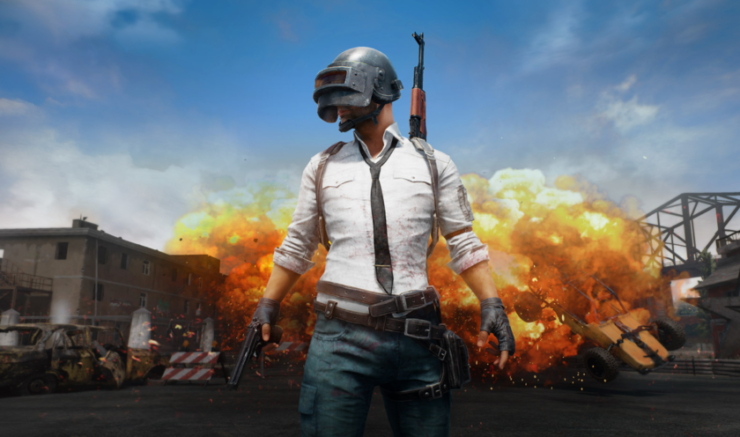 [Original Story] Last week, the PUBG development team confirmed that they are looking into ways to improve the game’s performance on PC, addressing a variety of issues plaguing the game. It seems like the first improvements will be coming in the game’s next update. Earlier today, the PUBG PC Update 14 update notes emerged on the PUBG Vietnam website. An official translation has yet to come in, but it seems like the update will include plenty of performance improvements, such as enhanced character rendering, netcode improvements and increased data speed transfer on the server. Gameplay tweaks will also be in. You can check out a translation of the update notes provided Reddit user PascalMrHi23 below. Light damage ranged from 8.5m to 11m. Effects of grenades increased: First, it should explain some concepts. The “direct effect” occurs when grenades explode in a 100 ° angle of view of the player An “indirect effect” occurs when the grenade explodes beyond the upper range, and the player stands within a distance of 5.5 meters from the explosion. The shocked character will cover his eyes, which is the movement of the new character. The observer will also be shocked if he is watching a person with the effects of pomegranate. The puddle will explode causing the person to be stunned (blind, deaf) if it explodes behind them. You can not aim shot – ADS (aiming-down-sight) – when stunned. Fixed a bug where the blurring effect was different in the graphical settings changes. Gas bomb will have new effects and increased damage Gas bombs will now cause two types of damage: indirect, and damage over time, depending on whether you stand directly on fire or not. If you stand on fire, you will receive both types of damage. Indirect damage (stand on fire) increased from 10 to 12.5 damage per second. When caught in a fire, the player deals damage over time (10 damage per second) for 4 seconds. Can not watch fire when it is burning. If the gas bomb explodes on the wall, the fire will spread and spread over the ground. Fire will spread over the surface of the wood in the house. The fire from gasoline bombs will spread more if you throw up another gas bomb on the fire. New moves are introduced, characters are burnt and will try to fire off the person by hand. Light grip will drop 15% of the first shot / shot or shot individually. For Vector to become more popular, the rate of this gun has increased to the level of UMP-9 (other SMG guns stay the same). Add message when healing item can not be used. We have added a new fraud prevention system developed from within PUBG Corp. Before posting to the Live server, we will test on the Test server. Help us test! At the start of the game, you will see a Popup displayed on the screen with 2 options. Click “Security Mode” for the Anti-Cheat system to work, and if that does not help, press “Compability Mode”. Enhanced character rendering capabilities, reducing frame dropping. Optimizes character movement when parachuting, which helps to increase the frame when many people are next to each other. Improves network code, reducing lag. Increase the speed of data transfer on the server (item, door, fence), so that things look right when the player answers down. Improved processing on the frame updating server with vehicles and characters, which reduces the abnormal physics of the vehicle. You can turn on the new Head Related Transfer Function (HRTF) in the Settings section (only affects the enemy’s shot sound). This audio mode simulates 3-D audio even on 2-channel stereo headphones. We’ve detailed this in the Developer’s Blog on Audio Enhancements. Fixed some abnormal impact flaws on Erangel and Miramar. Fixed a character stuck at a certain point on Erangel. Corrects character passing through objects in certain areas on Miramar. Increase the accuracy of the simulation trail for grenades. Fixed an image error when adding choke to sawed-off. Fixed a strange crash when the character jumped to the top of the car had another character in it. Fixed a character who sometimes dropped his gun after just finishing a long shot. Scope zero on the crossbow will be returned to the default value. Fixed bug grenade bouncing around after breaking the glass door. Fixed the tooltip in the game for the horizontal value of the cheek pad. Fixed a bug that caused the gun to not add 10% more reflex speed when added to the SLR. Decreases the volume of the aircraft containing the supply box.